Join us in a country estate nestled in the Valldemossa mountains in an extraordinary landscape of rolling mountains and fields and the sea on the horizon. Meals prepared by a local chef drawing upon the mediterranean cuisine for a diet sensitive to optimum health. All ingredients sourced locally and seasonally. 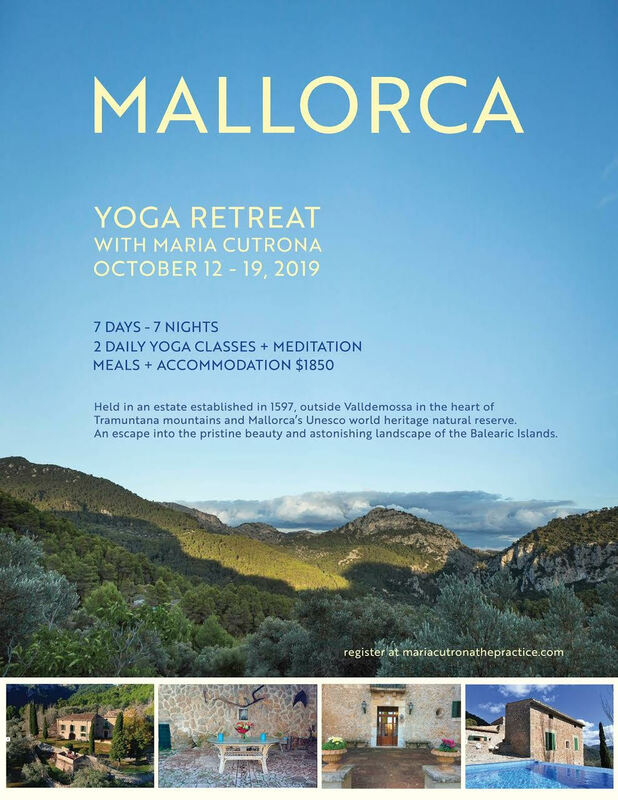 7 days of 2 daily yoga practices 3 meditation sessions and quiet time to explore the beauty of Mallorca. Airfare not included. Check flights to Palma.